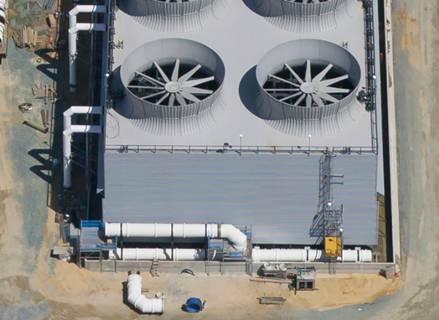 CPV Natural Gas Plant Opens - Mascott Equipment Co. 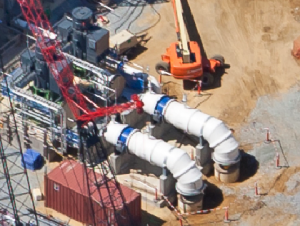 Competitive Power Ventures’ (CPV) natural-gas power plant has commenced operation in Charles County, MD. Mascott Equipment worked with the construction and engineering firm SNC Lavalin to provide fiberglass piping throughout the plant. Ershigs fabricated customer FRP pipe spools 3-60” in diameter and galvanized supports for the cooling water. National Oilwell Varco’s Fiberglass Systems Green Thread piping was used for drainage piping in 3-8” diameter. The project was completed ahead of schedule and within budget.